Summer in Delhi is best escaped. If you can’t get away though, joy must be found where you are, which in our case is in the vicinity of the studio. 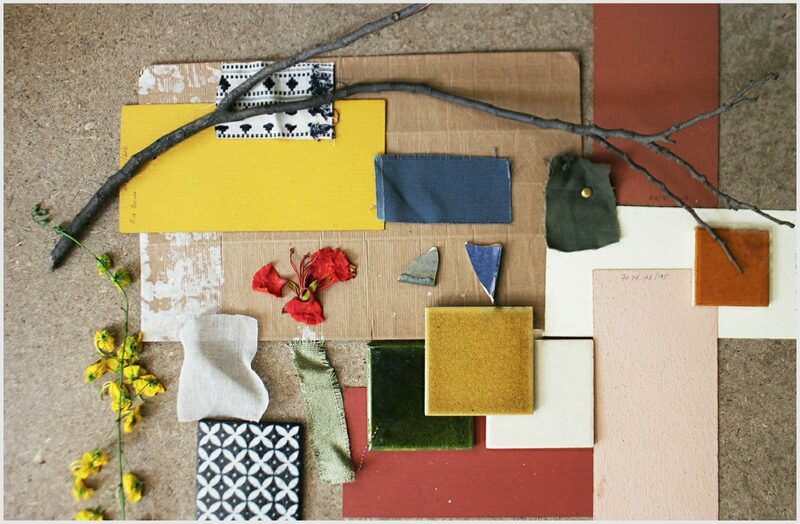 Shades of ochre, mustard, pink, and green from the near surroundings are currently the inspiration for work. Just as soon as the first Gulmohar and the Amaltas were spotted in our neighbourhood, their colours seemed to become ubiquitous, appearing everywhere as we shopped for art, tiles and textiles. Naturally now they’ll be a part of the spaces we’re designing. Yes, it’s blazing outside, but small mercies help keep balance.